Here's another special edition computing product for tech enthusiasts to desire. This time the limited edition appears to be incredibly small, at just 20 products, and they were all given away at yesterday's Computer Vision and Pattern Recognition conference (CVPR for short) in Salt Lake City, Utah. 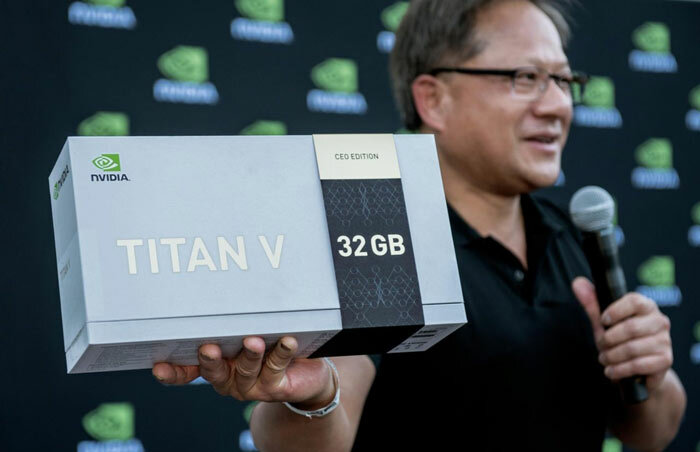 Nvidia CEO Jensen Huang addressed more than 500 guests at the conference yesterday before delivering "a big surprise". Actually there were two sets of surprises. 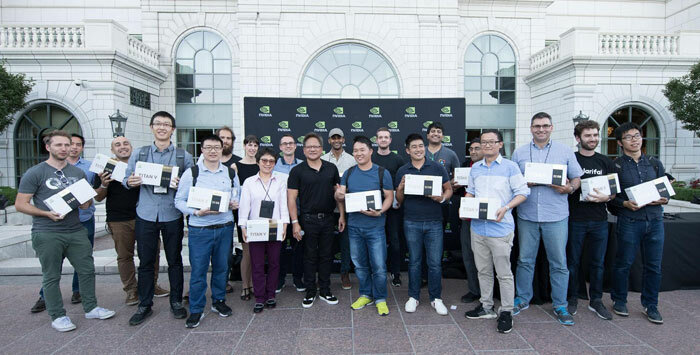 The first one was that Huang called up 12 teams of researchers and presented each with an Nvidia Pioneer Award. The Nvidia CEO talked about how the researchers are using deep learning to solve numerous problems and that they are "truly amazing". He went on to say how Nvidia is dedicated to creating a computing platform to further AI research. Recipients of the prizes have previously or are currently participating in the global Nvidia AI Labs (NVAIL) program. Moving swiftly to the second surprise announced by Huang, 20 guests were "selected at random," to join him in the hotel's courtyard. 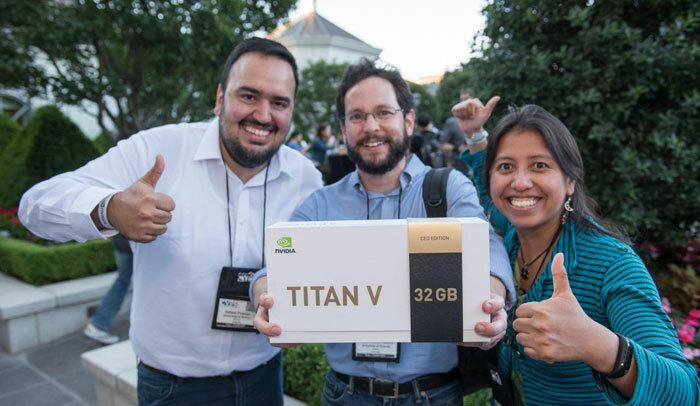 Each lucky guest was presented with a signed, limited edition 'Nvidia Titan V CEO Edition GPU'. A senior engineer, and head of the machine learning competence centre, at AUDI AG's automated driving development division. If you are wondering what might be special about the Nvidia Titan V CEO Edition GPUs, other than the signature and packaging, sadly Nvidia's blog doesn't provide any illumination on this question. We are told that the limited edition card can "crank through deep learning matrix operations at 125 teraflops at FP16 precision. Or it can blast through FP64 and FP32 operations when there’s a need for greater range, precision or numerical stability." However, I can't find previous official stats for FP16 performance on Nvidia's regular Titan V product pages. but…. CAN IT RUN CRYSIS? I love how they even went so far as to blatantly call it what it is, the CEO edition. In other words a gift to butter up the CEO's of companies that usually buy their stuff the most. Great looking tech though I have to admit. yeah, that cracked me up. “selected at random” (but totally selected). Now if Dave the cleaner who happened to walk into the wrong room got one - then that's random selection. What they're describing? Hmmmmm not so much?